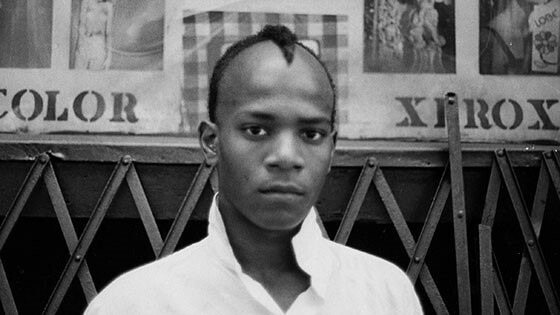 Jean-Michel Basquiat’s artistic flame burned intensely before his death at age 27 in 1988. His recognition has only increased since then. He was memorialized in Julian Schnabel’s film Basquiat and recently set the auction record for an American artist with his Untitled graffiti painting of a skull. Filmmaker Sara Driver brings a fresh perspective to the life of this mercurial figure during his formative years, when he was a homeless teenager in New York City. His story is told through the memories of people who knew him personally, including rapper Fab 5 Freddy, filmmaker Jim Jarmusch, and graffiti artist Lee QuiÃ±ones. The documentary immerses us in an era when traditional hierarchies were breaking down. Downtown artists were creating their own scene in spots like Club 57, Mudd Club, and pop-up galleries. “For many forward-thinking people, the age of the white male was already over,” says curator Diego Cortez. Basquiat was emblematic of collapsing boundaries between art forms as he moved from graffiti under the signature SAMO©, to painted clothes as Man Made, to music in the band Gray.